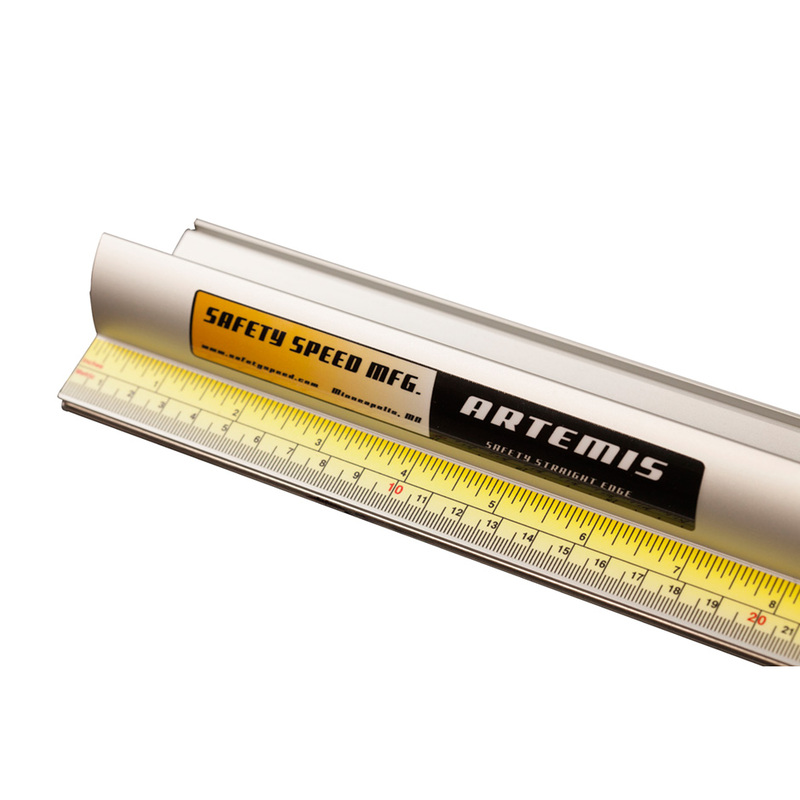 Safety Speed is pleased to introduce the Artemis Safety Straight Edge, a simple and effective solution to assist in the safe cutting of many of the materials used in today’s sign and graphic production shops. The Artemis is an essential tool for cutting, scoring and pen lining. 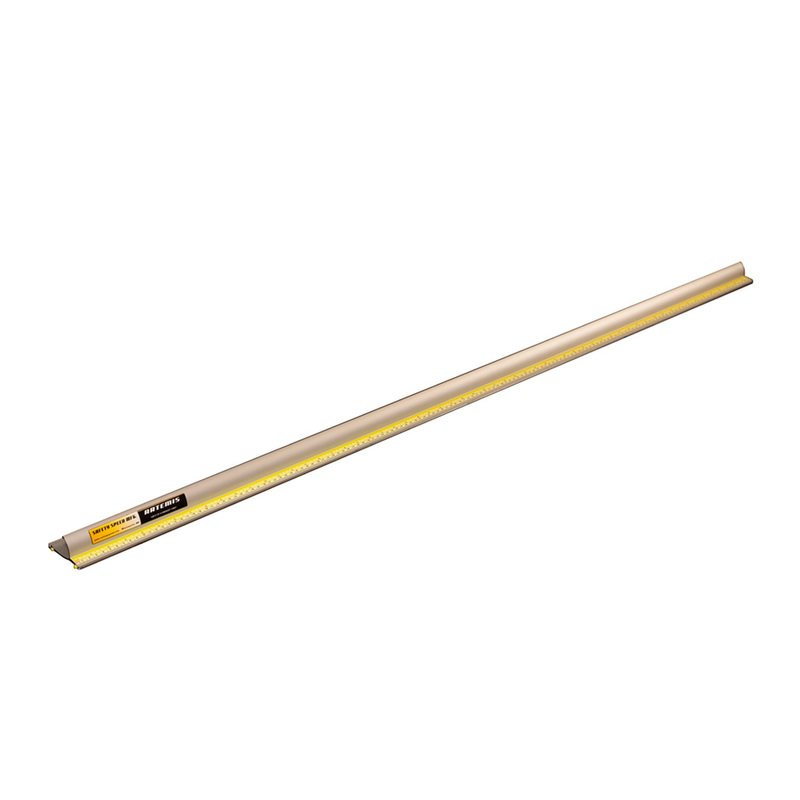 This top quality straight edge has been engineered in extruded aluminum and anodized for lasting protection. The Artemis has been designed to allow increased downward pressure on the clamped material while protecting fingers against any tool slippages. The underide features two full length silicone inserts to assist gripping and to provide essential protection for sensitive surfaces. A full length dual metric/imperial scale is fitted along the front edge and a press-fit stainless steel bead helps to protect the aluminum edge from blade damage. 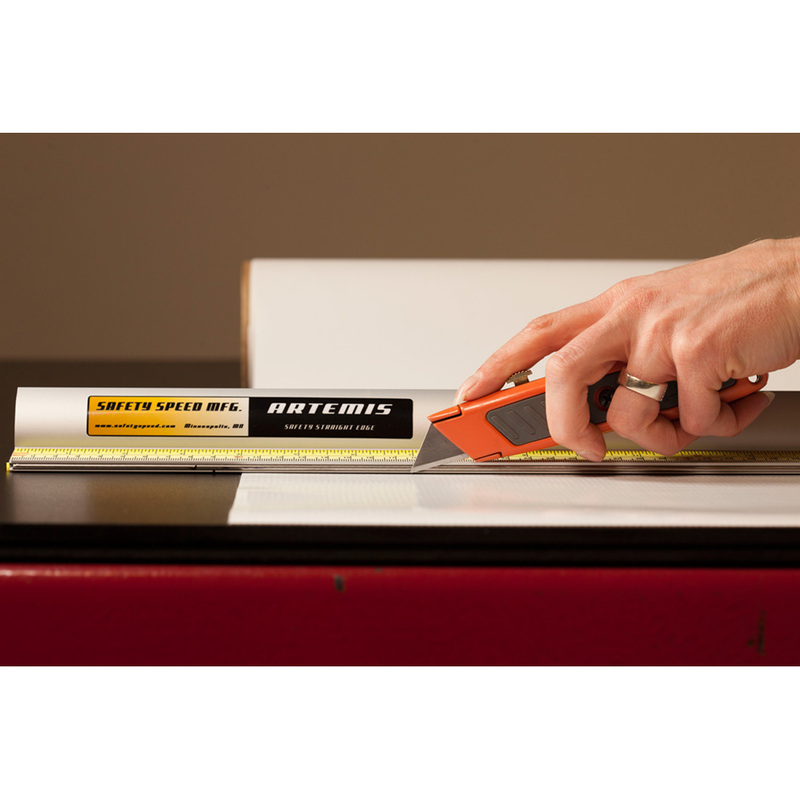 24", 40", 60", 80", 100"
Hello, I would like to request some more information about the following product: Artemis Safety Straight Edge. Thank you!